iCloud is an Apple service that was created to make it easier to sync information across various devices by storing it in the cloud. As we live in a world where we increasingly have multiple devices for personal and business uses, keeping the data in sync between them has become a priority. As storing information in the cloud has become increasingly popular, Apple launched its iCloud service to the public on October 12, 2011. One of the primary features of the iCloud service is the ability to keep email messages, calendar entries and contacts synchronized. This means that no matter what device you use, you will be able to get access to your information seamlessly. Those who own an iOS device, like an iPhone or iPad, or a Mac that runs OS X Lion 10.7 or higher will be able to get 5 GB of free cloud storage. This can be used to backup important files, as well as work on documents that the user would need to access from multiple devices. If 5 GB of storage is not enough, iCloud users can purchase additional storage capacity of up to 50 GB. As it is an Apple product, one can naturally expect that iCloud will be made to work primarily with Apple devices, such as Mac computers, as well as the iPod Touch, iPhone and iPad. Many parts of the service can also be accessed from a PC running Windows. However, this doesn’t mean that people using smartphones running the Android operating system are completely out of luck. There are some iCloud Android solutions that will let them use the service on mobile devices not made by Apple. 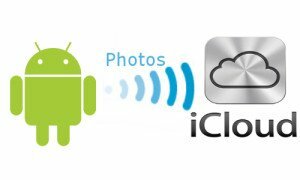 As the iCloud service doesn’t run natively on Android, it is necessary to employ a few workarounds to get things working. However, it isn’t really difficult. The first step is to find out which iCloud server hosts your account. This can be done by accessing your calendar, clicking on the sharing icons next to it and selecting “Public Calendar.” This will give you a URL like: webcal://pXX-calendarws.icloud.com. Here, pXX represents the server number, which could be p01, p02, etc. Take note of this number, as you will need it later. To set up your email, simply go to your regular email client on your Android phone and create a new IMAP account. Enter your email address, your Apple ID as the user name, and your iCloud password as the password. The server would be pXX-imap.mail.me.com, where pXX is the number you wrote down earlier. Synchronizing calendars and contacts with iCloud Android may be a bit more tricky. Find out if your phone supports CardDAV and CalDAV protocols. If it doesn’t, you will need to download some apps like CardDAV-Sync Free Beta and Caldav Sync Free Beta to allow synchronization. Once this is done, you can access your contact settings or the apps that you’ve just downloaded and use pXX-contacts.icloud.com as the contacts server. Select the “use SSL” option and use your iCloud email as the username and iCloud password as the password. The procedure is the same for the calendar, except that you would use pXX-caldav.icloud.com as the calendar server and update the settings through the calendar app on your phone. There are also iCloud alternatives available which you could use with Android and iOS devices. A list you can find over here.